With the government implementing new and updated payment models, it has become difficult for physicians to adapt to these plans. Even today, more than 70 percent of physicians favor fee-for-service payments. It’s very important to tie physician compensation to performance and to do it quickly. Physicians have long focused on delivering quality care, but with value-based care picking up the pace, they need to focus on equally important goals as well, such as reducing utilization and the cost of overall care. On top of that, physicians are continuously working long hours. The Annals of Internal Medicine found that for a physician, 49.2 percent of their time goes into doing paperwork, including EHRs, compared to 27 percent of their time seeing patients. A lack of meaningful incentives combined with increasing rates of burnout is just keeping physicians away from adapting to value-based care. Apart from this, organizations should involve physicians in formulating new policies. 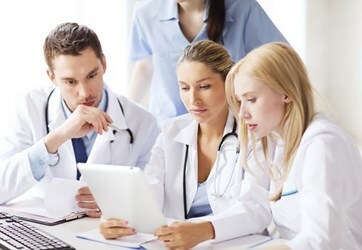 Leaders should understand the gravity of the provider’s opinion, as they are the ones who directly connect with the patients and are the first-hand recipients of their issues. Giving them the center place can directly improve not just their working state, but also can affect the population health to an extent.